Since thevideoanalyst.com was founded in 2008 there have been over 150 articles and blogs published on the site. Many have stood the test of time (some have not) but all have generated good debate and interest. So almost 9 years on, it was about time all the best articles from thevideoanalyst.com were pulled together into one handy eBook for you to browse at your leisure. The eBook is broken into 5 distinct sections and contains pieces written by Rob and guest authors (thanks to everyone who has contributed). I hope you enjoy it but above all I hope the book is useful to you as a coach or an analyst. So almost 5 years on, it was about time all the best articles from thevideoanalyst.com were pulled together into one handy eBook for you to browse at your leisure. The eBook is broken into 5 distinct sections and contains pieces written by Rob and guest authors (thanks to everyone who has contributed). I hope you enjoy it but above all I hope the book is useful to you as a coach or an analyst. All about the basics of Performance Analysis. From tips on buying a system, to using a video camera, to what you need in your PA kit bag. This chapter is all about the players. How long should presentations last, what are the best ways to reach players and should all coaches be analysts? I have always thought it was important to get the perspective of analysts working in the field and getting as wide a variety of views as possible. This chapter is a collection of views from analysts working in many different fields. Most of the analysts have moved on from their positions at the time, but the advice and details they outline are still applicable today. Thanks to those who shared their story. This chapter contains a quick synopsis of the 2 main sports analytics conference I have attended in the last couple of years. 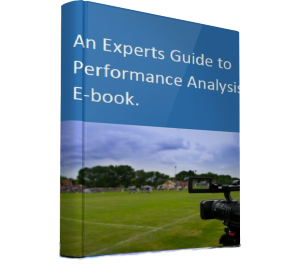 I have also put together a list of over 15 Performance Analysis books for your enjoyment. This chapter is all about getting a performance analysis job. There are 3 great pieces in this chapter; Paul Brand from Blackburn Rovers details their internship programme & Will Jones, Prozone, outlines his views on how to get a PA job. I also put in my own thoughts on the subject.